While Npower Nigeria is getting set to accommodate a new set of 60,000 beneficiaries in what is called N-Power Knowledge Multi-Track Youth Empowerment, the support team has instructed the already listed candidates for N-Build to proceed to their respective local governments starting from 8th April 2019 for their verification. It should be remembered that Npower took in a new set of volunteers in 2017. These Npower members have been on the payroll for a couple of months now. A few unsuccessful applicants were later converted to N-build. 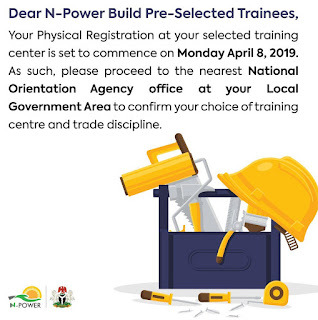 After the 2017 application for N-Teach, Agro and Health, some unsuccessful applicants were contacted by Npower to consider N-Build if they wished. Those who accepted the offers took part in the online test. The successful candidates are now to report for the final verification. These are the concerned candidates for the forthcoming screening/verification exercise that will take place at NOA offices of all local governments across the nation. 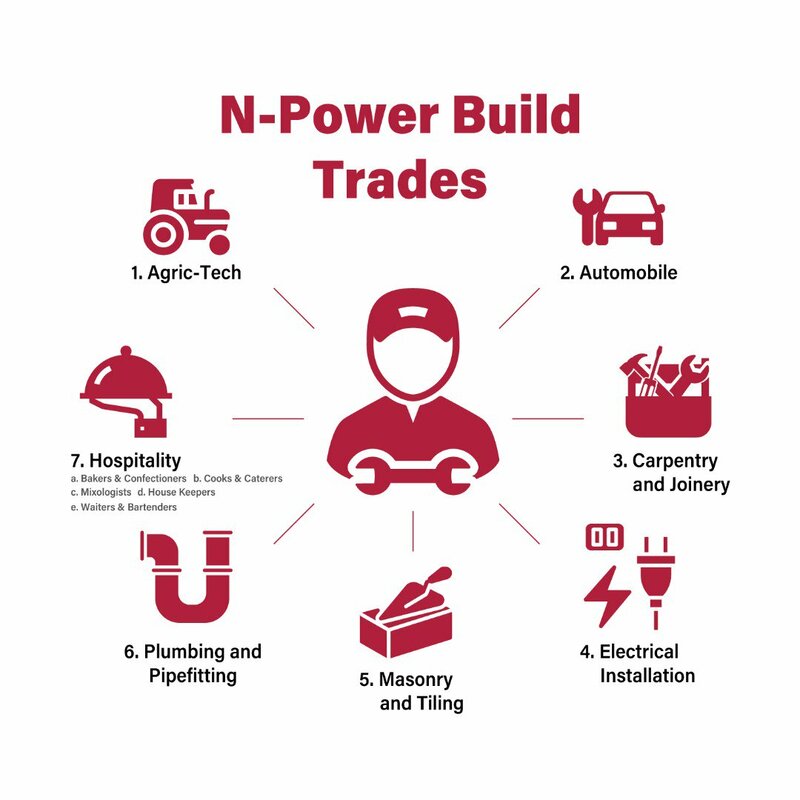 N-Build is meant usually for the SSCE holders and others who care to be trained for various vocations/trades. 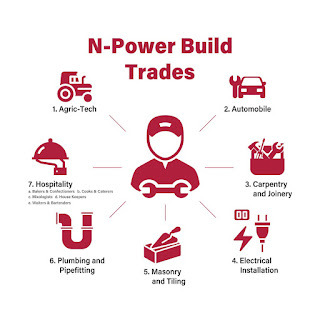 With N-Power Build, we are building a skilled workforce of properly trained and certified service professionals. With this new batch, the trades are a little different; we have introduced Agric-Tech and Hospitality. Education credentials or certificates. Take your highest qualification certificate along if possible.